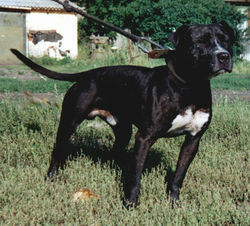 Assassin was one of a litter of six puppies born April 28, 1990 off Long’s Werdo (ROM) and Wildside’s Mean Jolene. This was a very high percentage litter as five out of six pups in this litter made it to the pit. his final schooling and his first match. Rick believed in the old fashion country keep, all natural. 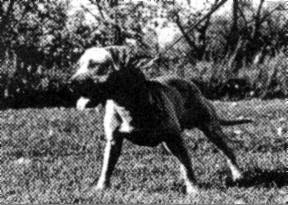 This first match was against Farmer John’s CORNBREAD at forty pounds, another first time out dog. 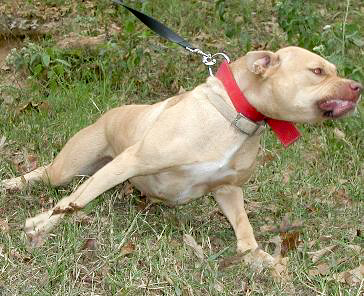 Cornbread was a Boomerang bred dog and reputed to be a good, hard biting face dog. Cornbread lived up to his reputation, punishing Assassin’s face and nose for the first :10 minutes, then Assassin made his move and drove deep into Cornbread’s chest. It was all Assassin from then on, John and his partner wisely picked up their dog at :23 minutes to save him, as the little Jeep/Nigerino dog was in the process of trying to neuter his opponent. 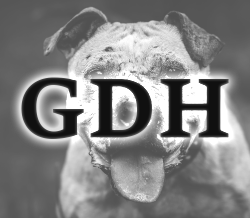 After recuperating from this match with Assassin, Cornbread went on to beat three good dog men, including H. Hargroves during the next eight months to become a champion. 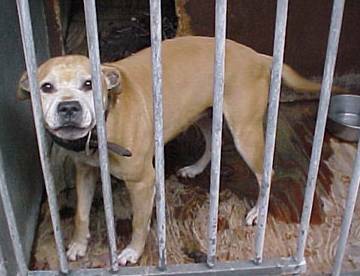 Shortly after this win, Assassin was sold to Pitstop Kennels due to financial reasons. It was recommended that Pitstop should put Assassin’s weight out at 40 lbs. Surprisingly, Wildside was told Assassin was hooked into Captain America’s Ch. King Arthur at 41 1/2 lbs. Apparently, the possibility of a win against a great dog in Pitstop’s first match had priority over giving the dog a fair chance at his best weight. 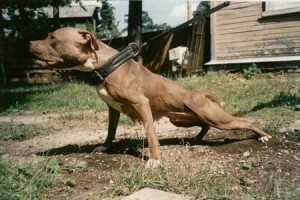 Bulk muscle may be good for weight pulling events, but can definitely make a dog slow and clumsy in the pit. During the early part of the match Assassin set the pace hurting King Arthur in the front end as King Arthur was on defense working the face and nose. By the :40 minute mark, Assassin was ahead when he took out King Arthur’s front end. King Arthur still working on Assassin’s front shoulder. At 1:00 it’s Assassin that made a come back and was working a down dog by the 1:10 minute mark. King Arthur then made a come back of his own at 1:30. One more scratch each and Assassin started fading fast, by 1:45 minutes, it’s Assassin’s time to scratch and Assassin is out of it by this point and he wandered into a neutral corner and gets counted out. 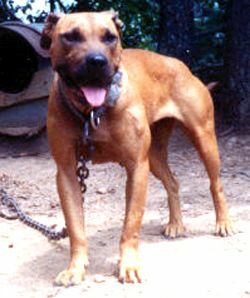 Captain America called Wildside a week after the match to compliment Assassin, and he said he was one of the gamest, hard mouthed dogs he’d seen in quite some time and that Gr. Ch. King Arthur had died as the results of his injuries from the match.